…I’ve got Speedy on my tail, and I know it’s either him or me. So I’m heading out the back door and in the other side; Gonna eat the cherries up and take them all for a ride. 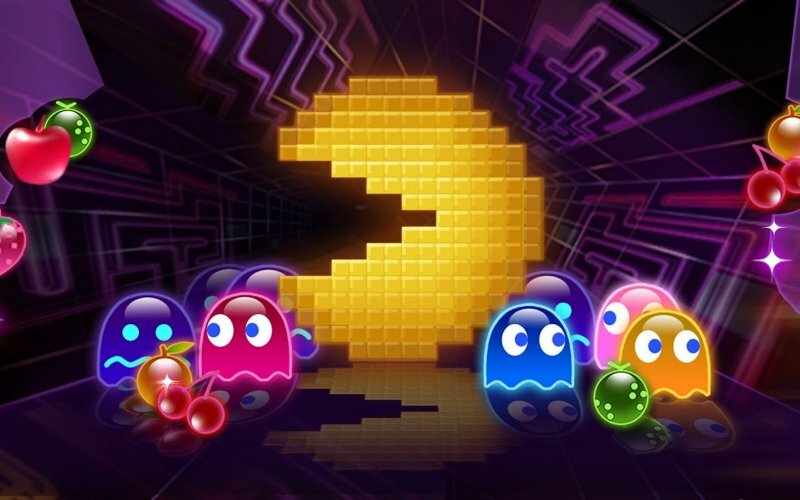 Leon, Josh, Karl and Joystiq’s Sinan Kubba successfully avoid all reference to Marcus Brigstocke’s infamous Pac-Man gag as they trawl through the lengthy and patchy history of the most successful coin-op of all time, arriving at and dissecting 2010’s Pac-Man Championship Edition DX. The sound designer for the original Pac-Man was Toshio Kai and obviously a lot of his iconic effects and tunes run through the series. Credited musicians for Championship Edition are Junko Ozawa and for Championship Edition DX Akitaka Tohyama, Hiroshi Okubo, Hiroyuki Kawada, Taku Inouea. Unfortunately we are unable to ascertain which composers contributed which tracks. $5 for 5 minutes of Pac-Man VR in 1996??? Crazy. That’s what I read. It’s a lot of money to induce a headache. got all the achivments and never want back. It’s a shame I know, but maybe I’ll get back to it soon.